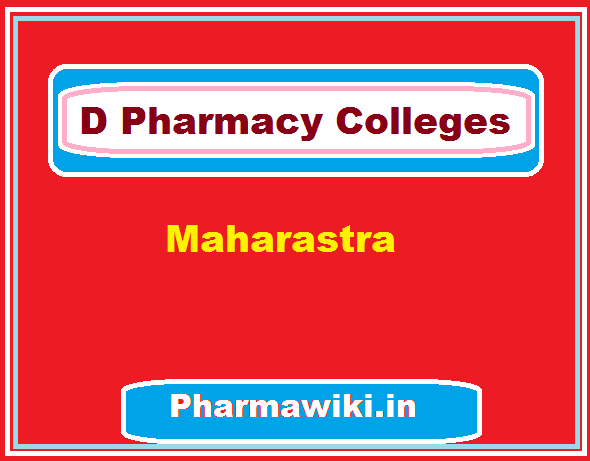 D Pharmacy Colleges in Maharashtra: The pharmacy profession and education have undergone a sea change as a provider of healthcare services in India post-independence. Although there has been a growing strength of pharmacy workforce in our country, the curriculum failed to meet the international standards. To promote excellence and uniformity in pharmacy education, the Pharmacy Council of India has formed a national task force for pharmacy education. Presently, the pharmacy education in India consists of a variety of courses, namely Diploma in Pharmacy, Bachelor of Pharmacy, Master of Pharmacy, and Master of Science in Pharmacy, Master of Technology in Pharmacy, Doctor of Pharmacy, and Doctor of Philosophy in Pharmacy. When we mention about Maharashtra it is the second most populated state of India. It is a home to core drug-makers that accounts for more than 18 per cent of medicines manufactured in India. The state currently has 437 pharmacy institutes, offering diploma, graduation and master’s courses to aspirants. Here we are going to present the pharmacy education at diploma level and the institutes in Maharashtra that provide the academics. In fact, it would be a healthy change in terms of education to incorporate the addition of new institutes and closure of existing ones. It is in accordance with the recent trends in professional education to cope up with unemployment and futuristic economy in the land. At a time when technical courses such as engineering, management and computer application are witnessing a dip in enrolment, the demand for pharmacy courses is on the rise. The technical education body needs to be cautious while increasing the intake of pharmacy courses. According to the experts, the stream of pharmacy has emerged as an alternative to medicine, as the latter has a limited intake and is increasingly becoming unaffordable to a large section of the population. Students who cannot get admission in medical courses opt for pharmacy. This is an agreeable fact to accept that even when we went through the recession, the healthcare sector didn’t suffer any loss. The pharmaceutical sector is thriving because there is a rise in lifestyle diseases and as long as there is life the pharmacy will exist.